The biggest challenge facing our entrepreneurs upon leaving Green Malata is finding the means to start their own business. They need equipment and supplies, they need to rent or buy a space to work, and they need to get people to buy their products. You can help them by donating, for example, a Farming Starter Pack so that a farmer can grow his own crops, or Bread/Bakery package that provides a source of income for a single mother. If you would like to donate a Entrepreneur Starter Pack or an individual item, please make sure to include the package number in the description of your donation payment. At Green Malata we teach our tailoring students to make reusable sanitary pads that are hygienic and environmentally friendly, safeguarding women’s education in Malawi. Each pack of sanitary pads includes 3 individual pads plus a pair of underwear. 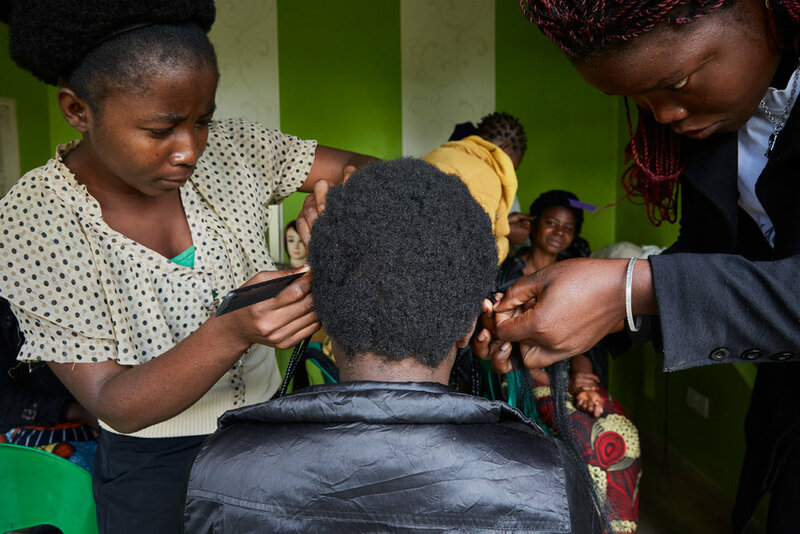 Our hairdressing course is one of our most popular at Green Malata as it requires little investment, and can generate significant profits. Includes: Uniform, towels, chair, small table, mirror, trolley, hair curlers & oils, shampoo and conditioner, shower caps, hair weaves & extensions, sewing needles & black wool. The beauty of Malawi’s fertile soil is that the vegetables and fruit that are grown there are both nutritious for families, and they provide a source of income if sold on the local market. Includes: scythe, rake, pick axe, grass cutter, wheelbarrow, watering can, 10 different seed packs, boots, overalls, transport sacks. Electrical engineering is rapidly becoming an important course at Green Malata. Our students not only learn how to install and maintain electrical systems, they are also trained in the manufacturing of solar panels. 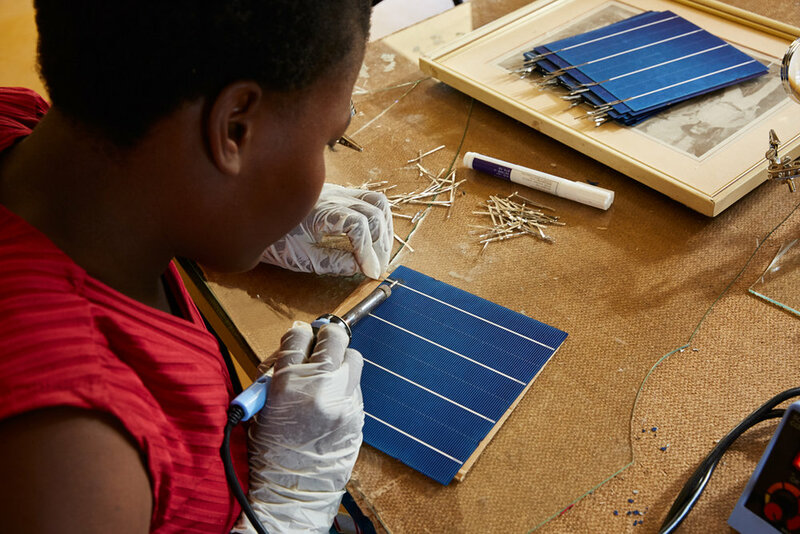 For Malawians, of whom only 6% of the population are connected to the national power grid, solar energy is the only viable alternative. Includes: helmet, overalls, work boots, tools, and tool bag. In Malawi, the traditional way of making bricks is incredibly polluting and consumes shocking amounts of firewood. At Green Malata we use environmentally friendly production practices which require neither heat nor firewood to create strong inter-locking bricks. Perfect for all sorts of outdoor surfaces. Includes: helmet, work boots, tools, overalls, quarry dust, transport, Duracrete cement. Eggs are a popular and inexpensive source of protein in Malawi. Chicken farming is another example of a perfect business model for single mothers who need to work from home. Includes: chicken shed, 25 day old chicks, shovel, hoe, overalls, gumboots, feeder and bucket, growers mash, vitamins, chicken food, egg trays. Tin-smithing uses old, discarded materials to create new products such as backing trays, watering cans, buckets and alternatives to plastic bags. Includes: overalls, work boots, metal sheets, railway sleeper, tools, pattern press, bicycle for transport to market. Reusable sanitary pads are easy to make and a great way for women in Malawi to empower themselves. The more reusable pads there are, the more girls can stay in school and the more women can keep their jobs. Includes: cutting table, iron, 2 rolls of fabric, tools, foam sheets, flannel, soft pvc, buttons, storage box, zips, cotton. Bread baking is a simple and profitable way for a young entrepreneur to earn an income. Especially effective for single mothers who are unable to leave their children unattended. It is of course also possible to support us by donating a single item or helping us to cover a particular cost. Please find below as list of some of our current needs.